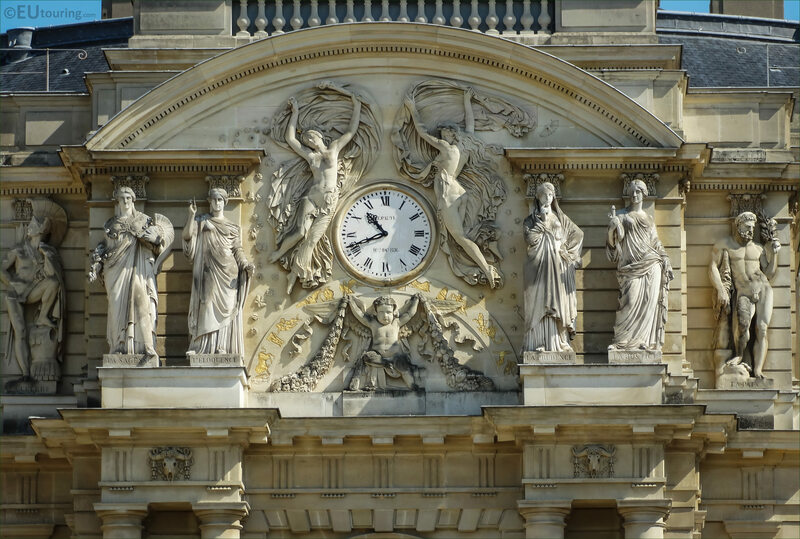 We were again within the Jardin du Luxembourg in the 6th Arrondissement of Paris, admiring the facade of the Palais du Luxembourg, and took these high definition photos showing the statue called La Justice, by James Pradier. Now this statue of La Justice was produced with a technique called ronde-bosse, which in English generally translates to in the round, and this was originally used for enamel works, but now refers to specific types of sculptures. 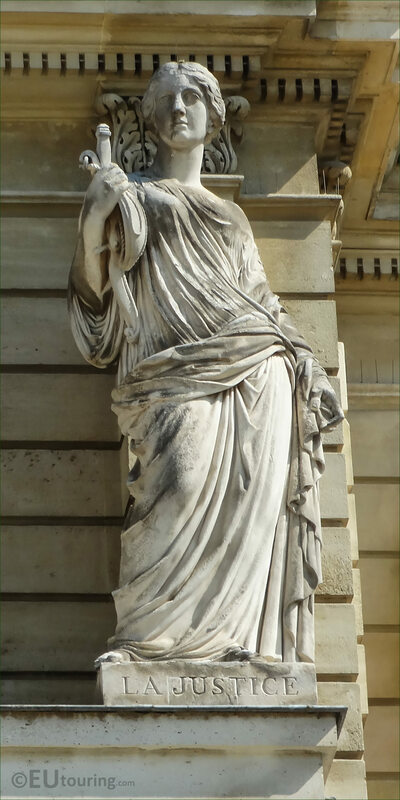 And the statue of The Justice, was produced by the Swiss born French sculptor Jean Jacques Pradier, who is usually known as James Pradier, and this was executed between 1840 and 1841 for the Luxembourg Palace. 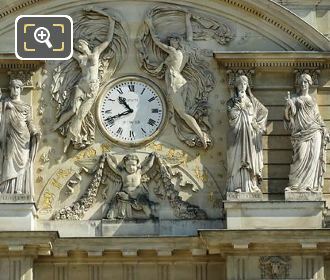 But in this HD photo you can see the whole top part of the south facade of the Palais du Luxembourg, showing the different statues and bas reliefs, and this particular statue of The Justice is positioned in the middle on the right hand side, or in other words, the second statue from the clock.